Do you love going to a golf driving range? Banging balls at the range is fun especially if you are doing it at a Topgolf where you are listening to music and enjoying some drinks. For the range goers who are serious about their practice sessions and more importantly the average golfer that is going to a golf driving range for fun, below are 4 simple must dos for every practice session. It is amazing to me how many people aim at the 150 yard white stake in the center of the golf driving range as their target for 90% of their shots. When you are out there on the course, chances are you are not in the center of the fairway and looking at a pin in the center of the green! When you are at the range, make sure you pick out numerous targets located on the left, right and center of the range. You do not need to always be targeting a pin flag or large stake either. Pick out a tree in the distance and focus your efforts on hitting your shots at that tree. Before you start banging balls into the range, determine your range session focus for the day. For instance, if you are working on driving, hit hybrids and 3 woods, not just your driver. Most people will start by just bringing out their driver and aimlessly start hitting balls into the range. Use multiple clubs and build up to hitting the driver to accomplish your driving goals. No matter what your range focus is for the day, you should always warm up at the range by hitting a few wedge shots first. Next time you are going to a golf driving range, make sure you hit at least 5 wedge shots with a pitching wedge or sand wedge before you get deep into your range session. Since wedges are the easiest clubs in the bag to hit, a few simple wedge shots will help you build momentum for your swing and ideally will build confidence in your swing after a couple good wedge shots. Do you have a golf swing routine? For you NBA fans, those free throw routines don’t just apply to basketball players. Creating a swing routine is all personal preference, but developing a swing routine for the golf course helps you create tempo and muscle memory to hit good shots. My personal routine is always taking 1 practice swing, backing up from the ball and then tapping my left foot before pulling the trigger for my swing. When going to a golf driving range you are often hitting between 50-100 balls. If you do not have a routine, create one during your next range session and mentally focus on doing the same routine for every shot on the range. 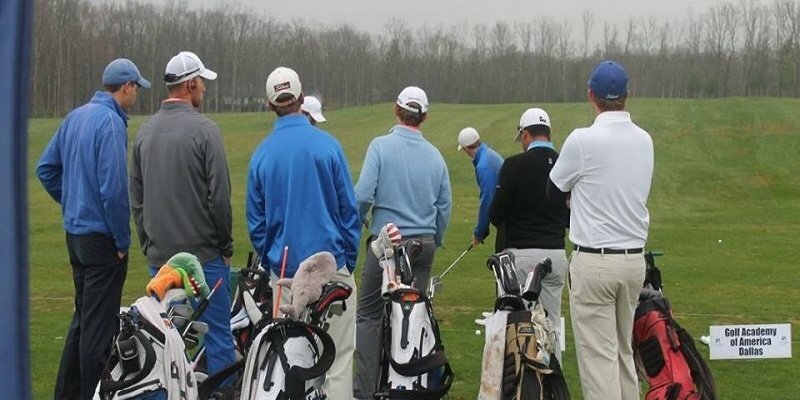 Creating and practicing a routine is not fun, but it can pay major dividends on the course.